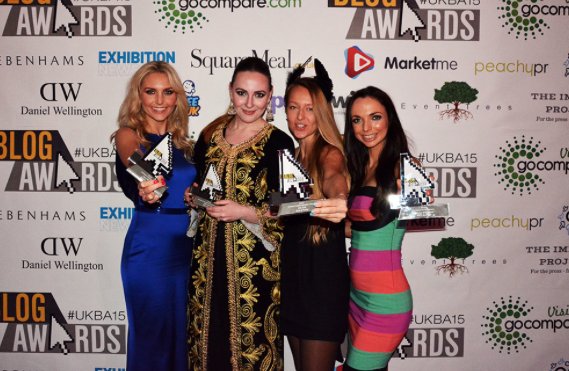 The UK Blog Awards 2015 – I WON!!! On Friday night something amazing happened… (and if you watch my YouTube videos then you will already know! 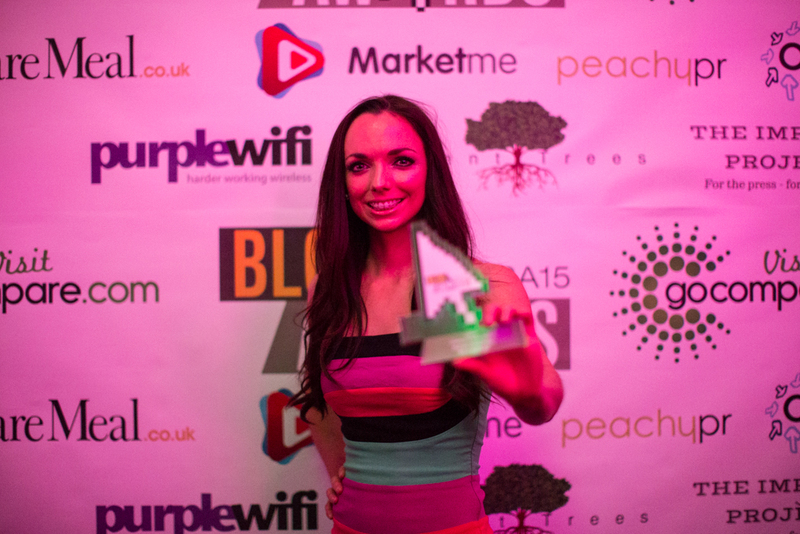 )… I was awarded BEST HEALTH BLOG in the UK BLOG AWARDS 2015!!! I am so happy I can’t tell you and want to say a massive thank you to everyone who voted for me to be shortlisted. 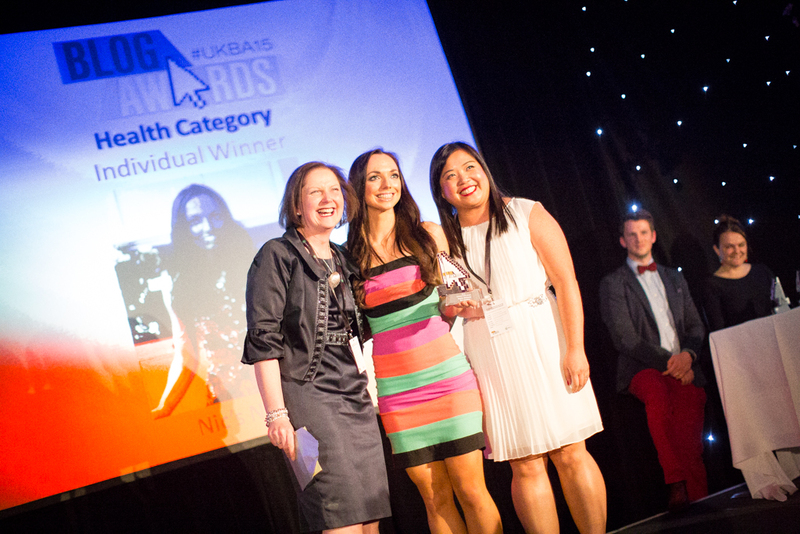 After shortlisting, the judges Kath Evans, Head of Patient Experience at NHS England/Registered Nurse, and Dinh Tu, Social Media Consultant for Bupa, set to work on picking the winner from 10 individual health blogs & awarded me ‘first prize’ on the night – I was thrilled (as you can see by the smile on my face! – skip to 2 minutes 25 seconds to see me go up on stage!!). If winning The Best Health Blog Award wasn’t enough, I was also ecstatic to receive the ‘highly commended’ award for the Food & Drink category, awarded by Elaine Stocks, Deputy Editor of BBC Good Food Magazine, and Eleanor Crossland, Social Media Manager for Square Meal Publications. Winning these awards means so so much to me and I promise that I will be working extra hard on my blog to keep bringing you what you want!! 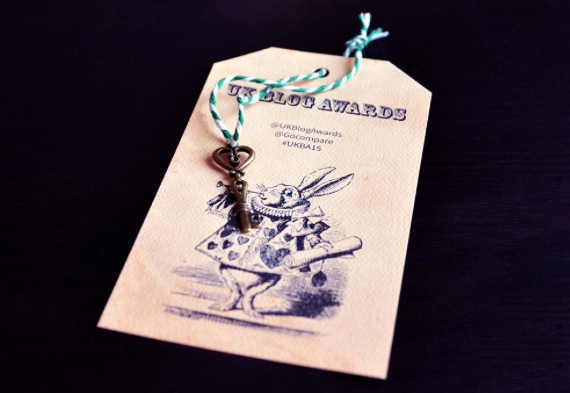 It’s the second year that the UK Blog Awards have run (I was short-listed but unfortunately didn’t win last year!!) and apparently they received a record-breaking 2,000 entries (stiff competition!!) 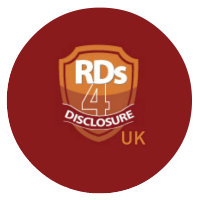 and 48,000 public votes to determine the overall shortlists, which – over the past 3 months – were scrutinised by an expert panel of judges to determine the overall category winners. 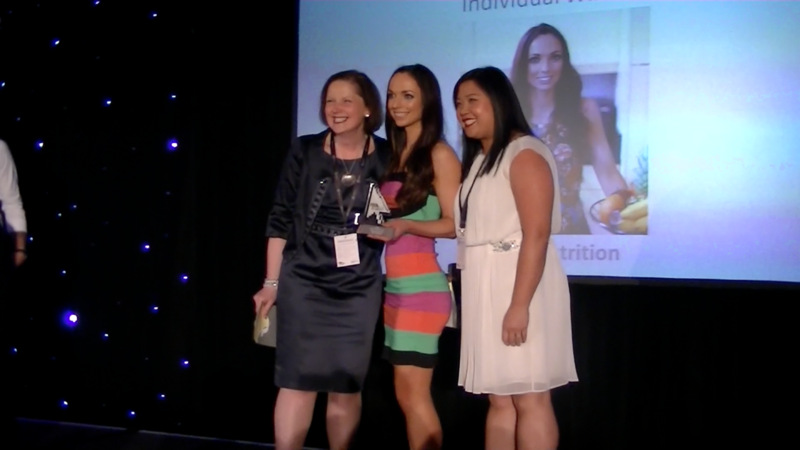 As well as a thank you to the judges, I want to say a massive thank you to Purition who sponsored my trip down to the awards and provided me with ‘on the go’ nutrition to fuel the event!! 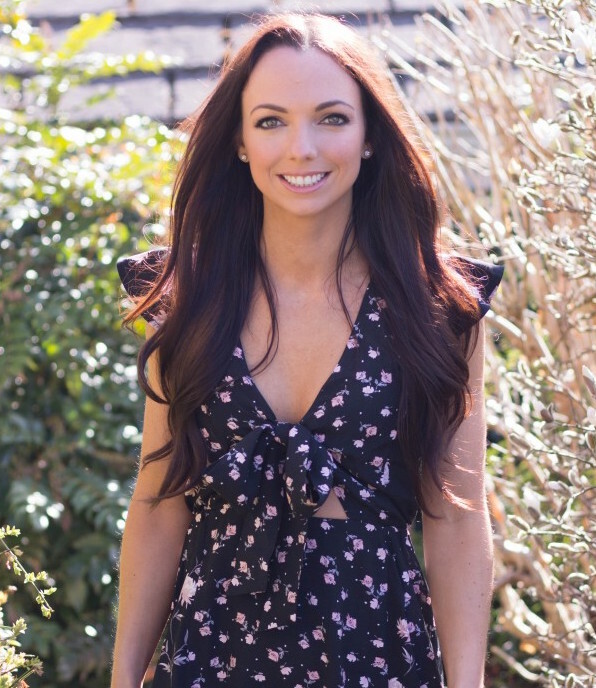 I started blogging in January 2012 as a way of promoting healthy eating messages in a readable and accessible manner with the aim of motivating and inspiring others to lead a healthier life. 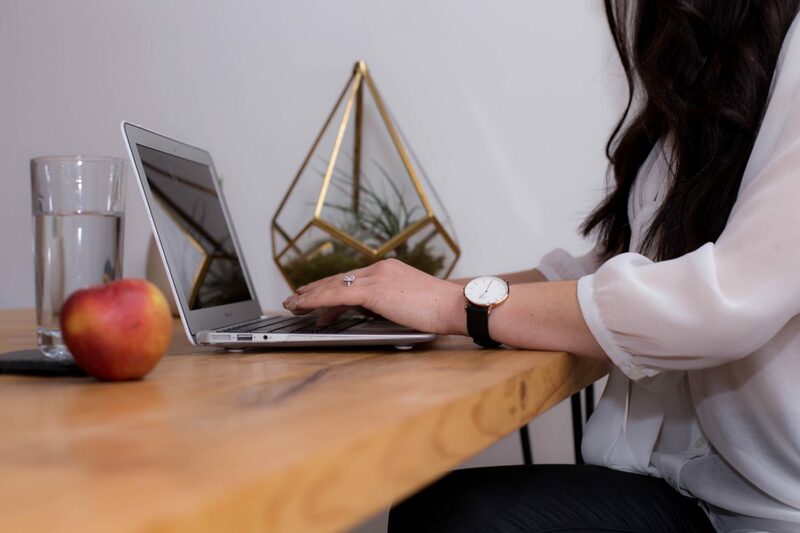 My blog is my passion and hobby and although it takes up a considerable amount of my ‘free time’ I LOVE hearing from people letting me know how their lives have changed because of my recipes & tips. 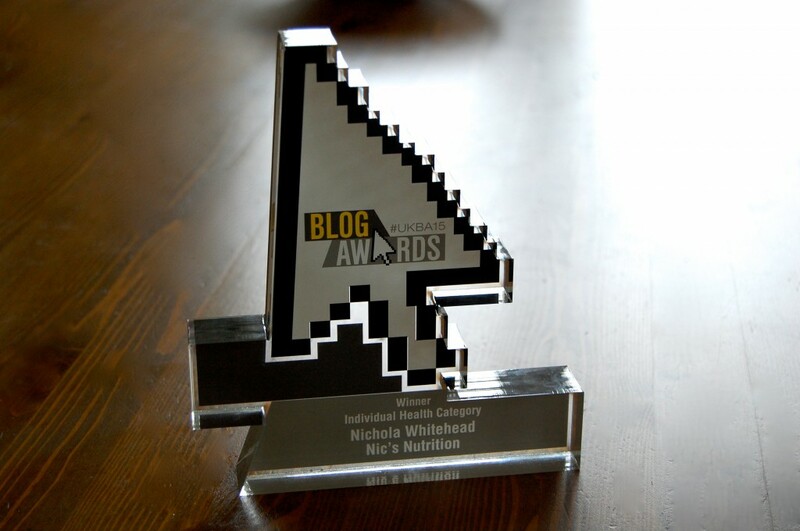 Winning this award means that I will hopefully be able to reach more people who want nutrition advice that they can trust! 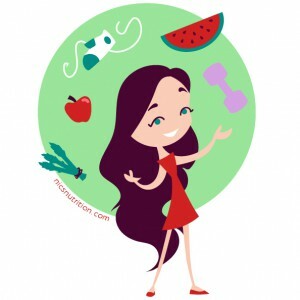 There is so much misinformation out there that nutrition can often seem confusing – my aim is to make it simple and more importantly doable! 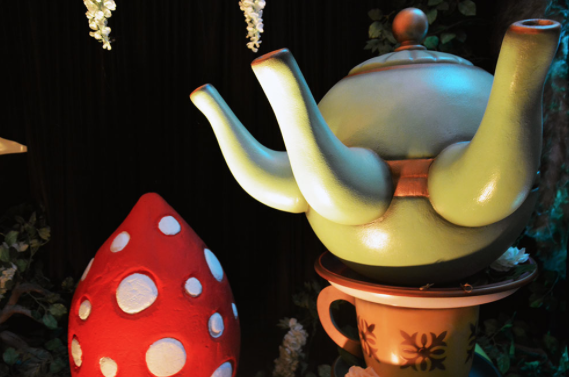 I went to the Alice in Wonderland themed event with the incredible Lindsay from Lean Bean Nutrition who was short-listed in the Young Persons category, and really did have such an amazing night! Above are other winning girlies Freya from Fitness On Toast, Edita from PRET-A-REPORTER (who took the above 3 amazing pictures!) and Gem from GEM-A-PORTER. I also want to say a huge thank you to Freya’s fiancé who took the picture of me on stage as well as the one below, what an amazing night!! Thank you SO much again for following my blog and for helping it to grow – I truly truly appreciate it!!! Previous Post Whey Protein.. Do you need it? Next Post Vitamin C Supplements.. do you need them?